The Kim Kardashian of the beauty influencer economy. No.1 on the Instagram Influencer Rich List earns up to $18,000 USD for a single sponsored post. Estimated net worth is over 4.5 million. Founder of the top indie beauty brand on Instagram. Simply put, she’s a pretty big deal in the beauty world. While she has a profile, and a ton of following, on all major social media channels, the one closest to her heart is Instagram. “I fell in love with Instagram,” Huda said, even rattling off the exact month (October 2012) and phone model (iPhone 4) she had when she started her account. And Instagram has fallen in love with her! She has over 24 million followers on Instagram. Each of her post averages 400k views, with several reaching over a million views. 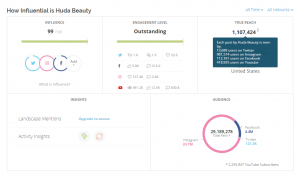 Has one of the largest beauty communities on Instagram. The one thing that sets her apart from other beauty brands is that Huda, herself, is the brand. Not a nameless, faceless, voiceless company like other beauty brands. And she asserts that fact over and over and over again across all her social media channels. Her major IG account is also her personal account which is public for everyone. She has a business account @ShopHudaBeauty, but that’s an add-on to her account, not the main brand account. So with every single product, she launches her fame as a beauty blogger skyrockets. 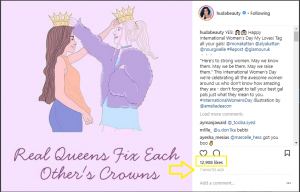 However, like other successful beauty brands on Instagram, Huda Beauty follows a carefully crafted Instagram strategy that has helped her reach this level of success. Let’s dissect some of its elements. ^ This attitude does not get you over 24 million followers – it won’t even get you 100, to be honest. Huda has a carefully crafted plan that lays out everything – what type of posts to create, optimum posting schedule, to IG stories or not to IG stories, and so on. Let’s discuss them all in detail. 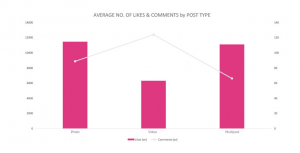 Where Buffer says, ‘major brands share on Instagram on average 1.5 times a day’, DowSocial’s research has shown that ‘3 or more posts a day’ works great for brands, too. However, Neil Patel said on Forbes and I completely agree, ‘posting frequency is not all that important for your Instagram marketing.’ Instead, consistency is the key. And Huda is nothing if not consistent. She posts between 3 to 5 posts each day, with a gap of usually 2 to 3 hours. Instead of people losing interest in her posts, you’ll see likes and comments increasing with each post. So this strategy definitely works for her. Also according to Schedugr.am, while picture posts see more likes, video posts get a lot more comments and engagement is higher. When you’re uploading around 3 to 5 posts each day, you need to make each of those posts stand out on its own. Successful brands don’t post just for the sake of posting; they have a carefully crafted strategy behind each of their post. And since Instagram’s algorithm makes sure 70% of Instagram posts aren’t seen, brands need to create highly engaging posts. Huda experiments with a lot of different videos posts and all of them are pretty successful at engaging her audience (and going viral). Just look at this post. Within 7 minutes, it had 12,908 likes and a plethora of comments. Here are a few other video posts she creates to fulfill her daily quota of 5 posts. Latest trends – she has her finger on the latest beauty trends and always makes videos. Top influencers average 7.6 Instagram Stories per day compared to only 3.5 Snapchat Stories per day. her comings and goings, event participation, shopping trips and so much more. While this isn’t an out-of-the-box strategy, it is effective in showing her transparency and authenticity. More beauty stuff. Tips and tricks, beauty DIY tutorials, favorite products, product demonstrations, first impressions of new products, and so on. Her Instagram stories are far more personal than her feed. Also uses the shoppable posts to convert followers. Doesn’t shy away from posting about her sisters, husband, and daughter. Posts pictures of publications where she’s been interviewed or appeared on covers. Lots and lots of (stunning!!!) selfies. Because, why not? Her captions scream ‘real’. She’s made sure that her IG feed reflects who she is – a humble, beauty blogger like any other – instead of the CEO of a very successful beauty brand. Asking followers to tag people who’d relate to her post. Asking for honest opinions about her personal life or brand. Asking questions. All and any kind of questions. From ‘who’s excited about a launch’ to ‘If you could describe me in one word, what would you say?’. Giving shoutouts to fellow beauty influencers and followers. According to HootSuite, this is a great way to drive engagement. Using emojis in her captions, as well. Almost 50% of captions and comments on Instagram contain at least one emoji. [Instagram Tip #2] Good Artists Copy; Great Artists Steal — The Low-Effort Reposting Strategy That Turns Followers Into Fanatics. User-generated content is taking the social media world by storm. It’s free of cost, saves time and effort, and leaves a great, lasting impact on potential customers. Skeptical? Don’t be. I’ve got numbers to prove this claim. So, consumers in all shapes and sizes, love user-generated content. This is precisely why 80% of Huda Beauty’s feed is filled with UGC. After going through a number of her UGC posts, I discovered the following things. She religiously uses brand generated hashtags with most of her posts. Reposts content of beauty bloggers usually with over 20k followers. Reposts funny, LOL beauty videos. Reposts content (makeup stash, tutorials, etc.) that promotes her latest products using its hashtags. Reposts the weirdest (and viral) fads – to get more likes and comments. Why does this strategy work so great? It’s free content. Allows her to post every three hours without spending too much time creating new content. She can track it through hashtags and it takes a second to click repost. 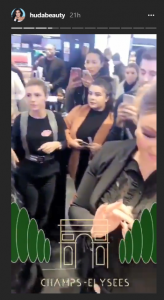 Because she’s so open to promoting other beauty bloggers, every beauty blogger (even new ones with hardly any followers) and jumping over each other to tag Huda Beauty in their posts and use Huda Beauty products. 75% of marketing professionals consider influencer engagement effective in lead generation. A plethora of free advertisement. Makes her account feel authentic and non-spammy. 64% of customers will not only value online reviews but will actively seek them out before making a purchasing decision. 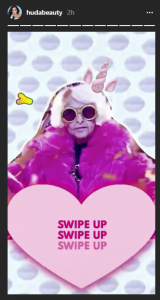 Sometimes she creates super funny, viral-worthy, satire videos to promote her giveaways. This way when they go viral, her giveaway details go viral too and she reaches out to a massive audience base. Some of her giveaways are conducted over the course of a week. With a new giveaway every single day. The giveaways are gigantic. They’re every beauty lover’s dream. You can’t NOT enter them. 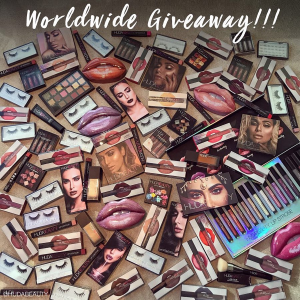 Her popular fambam (Mona Kattan 1.6 m followers, Alya Kattan 2.3 m followers, Christopher Goncalo 120k followers) are all involved in promoting her giveaways. Followers to enter as many times as they like to increase their chances of winning. These further increases reach. Since her giveaways are so mouthwatering, she asks participants to enter as many times as they want to increase their chances of winning. But this way she’s also increasing her audience reach, so it’s a win-win. 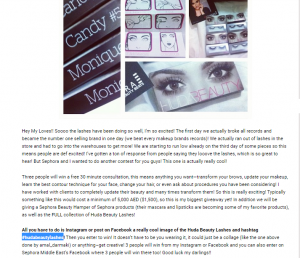 She uses branded hashtags, mostly #hudabeautygiveaway, to track her giveaway reposts. “When I began blogging, I noticed a huge interest in my false lashes. Having always customized, cut and glued several pairs together, it was hard to explain how anyone could achieve the same look at home.” –Hudabeauty says. When she started off as a beauty blogger and makeup artist, there weren’t a lot of different fake eyelashes to choose from. So she’d cut and customize different pairs to make one that’d suit her eye shape. The demand for them was huge, but no brand was supplying it. When friends, family, and acquaintances started asking her about her custom eyelashes and word spread, she saw a market for them and started creating them to sell in 2013. And this is how her Instagram stardom, her million dollar beauty brand and a whole lotta success came her way. 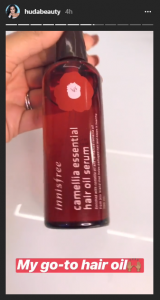 Gave it away to popular beauty bloggers to further promote it. The reposted content of makeup artists who used and tagged Huda lashes. 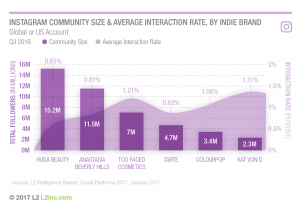 According to a TrackMaven study of Instagram accounts with 1,000 followers or fewer, posts containing four or five hashtags received an average of 22 interactions compared to 14 interactions on posts with zero hashtags. Another study reveals, Instagram posts with at least one hashtag average 12.6 percent more engagement than those with no hashtags. Hashtags are pretty important in the Instagram world. 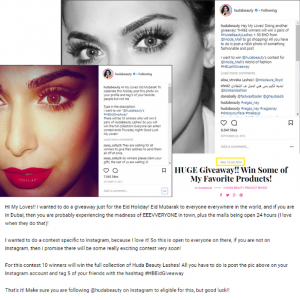 And HudaBeauty owes most her Instagram success to strategically created, used, and promoted hashtags. 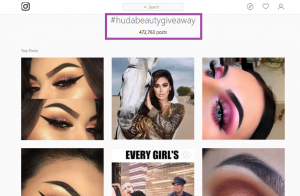 She started using her core brand hashtag #hudabeauty since 7 June 2016. In just 1 and a half years, IG has over 1 million posts associated with this hashtag. 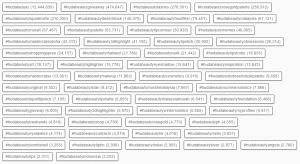 Here are all the Huda Beauty hashtags there are on IG, and most of them started by Huda herself. What’s the strategy behind these hashtags? She never uses generic hashtags like #makeup, etc. because the competition on them is too high. Notice how all her hashtags start with Hudabeauty first and foremost. There are several pros to this tactic. 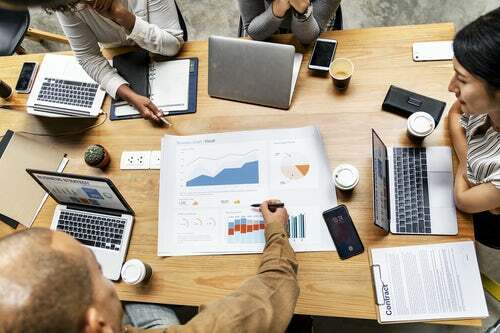 She can track her followers’ activity through these hashtags, she can find interesting UGC posts, further reassert their brand image, figure out what kind of feedback she’s receiving, the number of reposts, and brainstorm new product ideas. With every new product Huda launches, she creates a hashtag especially for it. She uses 2 to 4 hashtags in most of her comments. Doesn’t overdo it. Mostly, however, she uses the primary hashtag #hudabeauty. Every brand needs to have a unique selling proposition to be successful in a competitive niche. The beauty world is nothing if not extremely competitive. So Huda Beauty managed to carve out her micro niche, Arab makeup, by using her Arab roots. Creates Arab inspired tutorials. Also, does tutorials in the Arabic language. What happens if Instagram disappears tomorrow? Instagram is not going anywhere, for now, so you’ve still got time to hop on to it and build your empire. 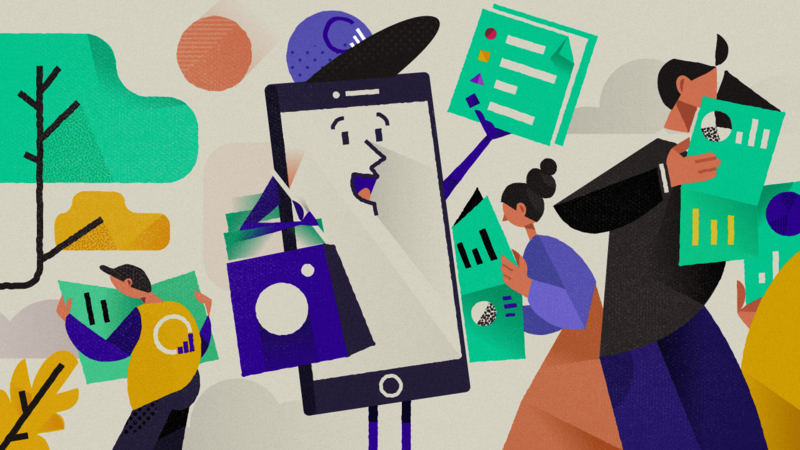 Unlike a couple of years ago, when gaining followers, boosting engagement, and driving sales through this platform was a huge task, it’s no longer that difficult anymore. You can imitate effective strategies of successful brands and with a little trial and error, build a loyal community of potential customers.